Moreover, numerous studies show that parole and probation are applied in a discriminatory manner. Blacks are frequently given harsher conditions and longer terms, and are less likely to be offered parole than similarly situated whites. 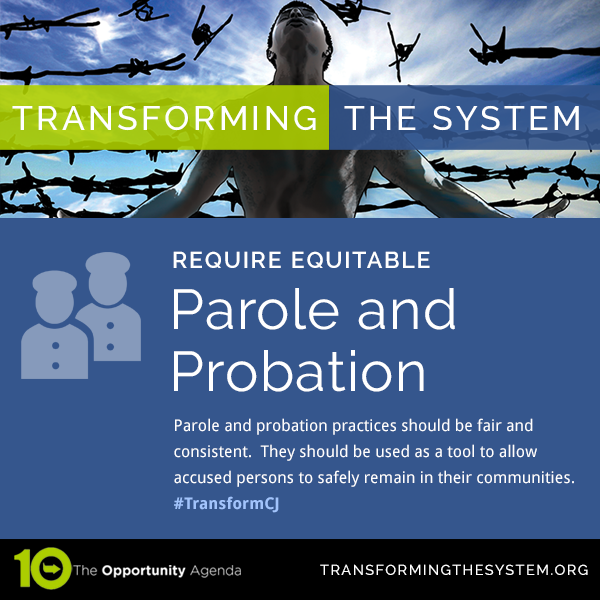 Racial and ethnic disparities in parole and probation should be immediately addressed to reduce current inequities. The following policies should be adopted to ensure that these disparities do not persist. Evaluates individual parole and probation officers by the percentage of unwarranted racial disparities in their supervision tasks. It is in all of our best interest to ensure that those who have been caught up in the criminal justice system are able to become successful members of their communities and stay out of prison. It’s therefore important that parole and probation practices are fair and consistent, and that courts use these practices as tools to allow accused persons to safely remain in their communities. Instead, parole and probation are becoming tools for funneling people back into full custody. Revocation of parole for minor technical violations is the leading cause of people returning to prison. Individuals are routinely sent back for infractions such as missing a meeting or failing to get a job. State and local governments should eliminate incarceration for parole and probation violations and instead use sanctions that are reflective of the violation, such as comunity service for missed meetings. 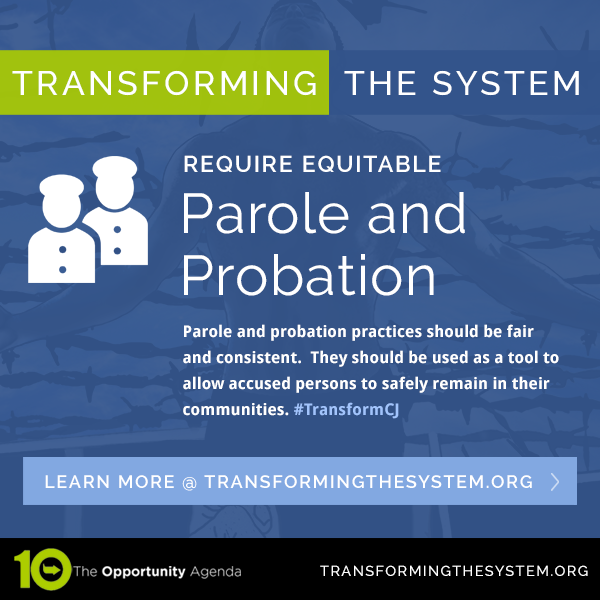 Tell your local policymakers that you support parole and probation reform that replaces prison with sensible alternatives like community service.